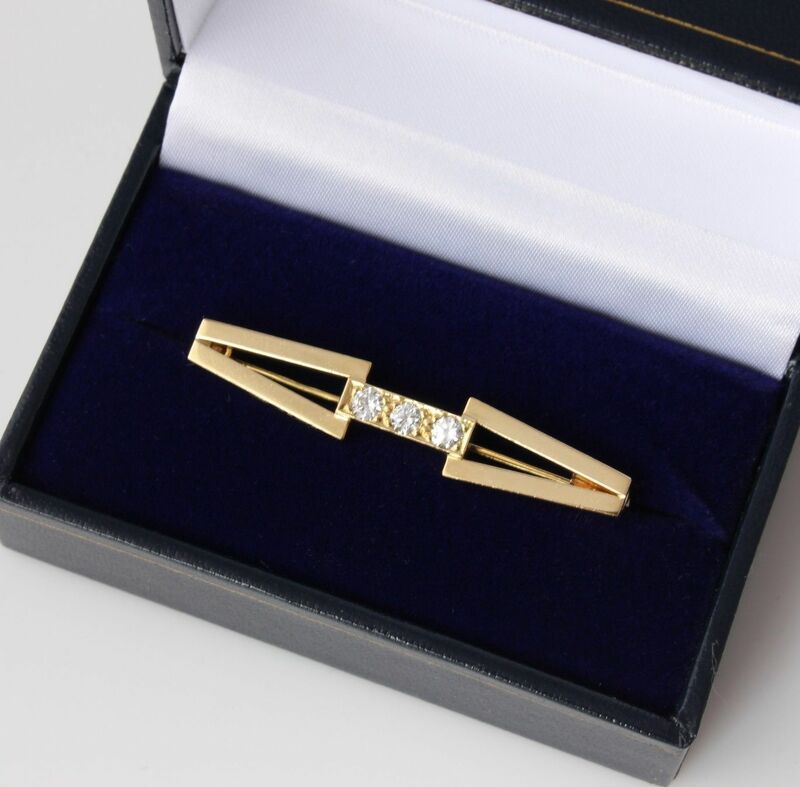 1970s 18ct Gold & VS Natural 0.45ct Diamond 3 Stone Pin Bar Brooch. 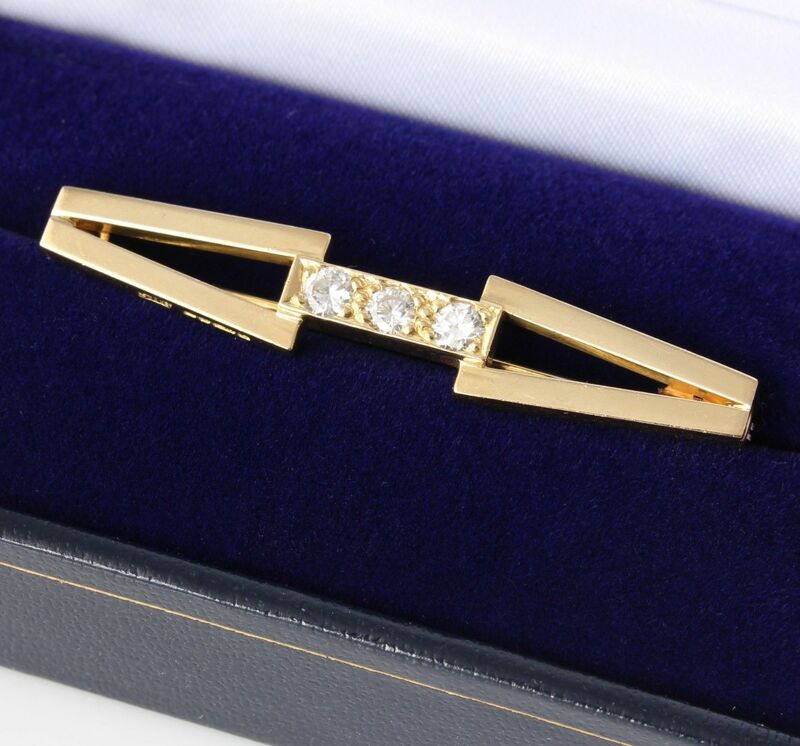 This stylish 1970's diamond brooch is crafted in 18ct gold and has three beautiful quality diamonds. This unusual brooch of geometric design is a nice weight and has three brilliant-cut natural diamonds that total 0.45 ct. The diamonds are well matched, bright and sparkly. A beautiful quality 1970's brooch that would make a wonderful gift. Materials: 18ct gold, 3 x Natural diamonds total 0.45 ct.
Diamond Details: Colour: H-I. Clarity: VS2. Fully hallmarked with Crown and 750 for 18 ct gold. London. Maker's mark SHB. Date letter e for 1979. 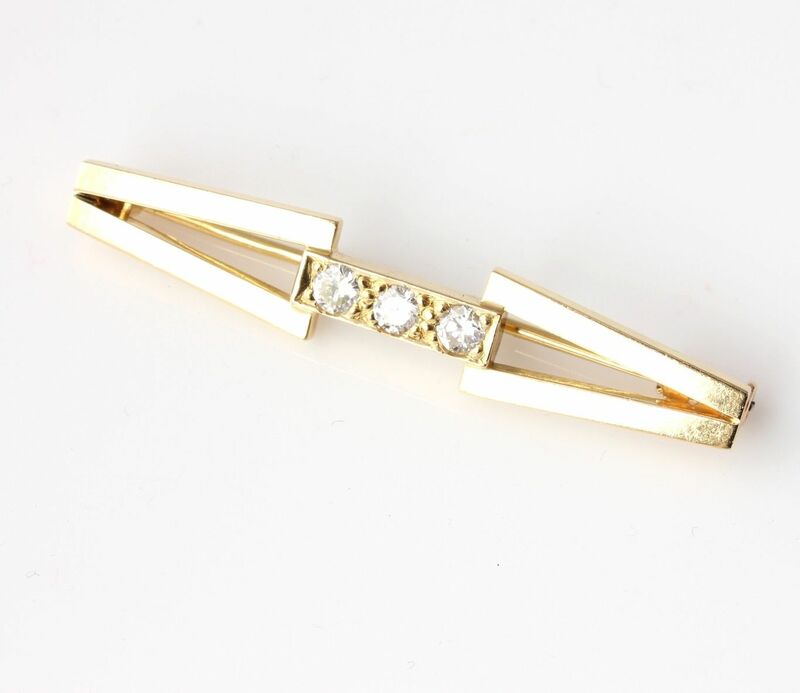 Length of brooch: 4.7 cm. Weight of brooch: 6.26 grams. Condition: Excellent used vintage condition. Comes in a new gift box. Professionally cleaned and ready to enjoy. Please see pictures.